Some of you may have read over one of our previous blog on Pilates called ‘The History of Pilates’. You may have read that the founder of Pilates, Joseph Humbertus Pilates, born in Düsseldorf, Germany grew up suffering from a number of health problems such as rickets, asthma and rheumatic fever. Determined to overcome his illnesses, Joseph aimed to excel in physical achievements and innovations by becoming a pioneer of discovering the ability of the human body. During the outbreak of WW I, Joseph Pilates’ exercises became increasingly popular with individuals who suffered with wartime diseases. Many took up his new form of ‘Pilates’ exercise to overcome their illnesses and applied his unique approach to movement and fitness. Joseph also devised his own style of exercise equipment to compliment his Pilates exercises. By removing bedsprings and attaching them to the walls above beds, bed bound patients in hospital were able to perform his unique style of exercise. This concept provided the foundation for a strengthening program which mobilised an individual who remained bed bound by disease or illness. Many of those suffering from disease or illness found that by following Joseph’s regime, they were emerging fitter than ever before. More than 80% of Pilates instructors around the world now come from advanced training background, as did Joseph Pilates himself. The exercises he developed focus on fluidity of movement, lengthening and strengthening muscles whilst providing a balletic appearance. Pilates focuses on strengthening each region of the body, bringing symmetry to all muscle groups. Pilates has developed beyond its first application in ballet and can be adapted to suit many body types well as many common injuries. Pilates classes have developed to include hand weights, resistance bands, magic circles, foam rollers, soft balls and can also be completed on reformers similar to the original concept of bed springs. Joseph’s concept of Pilates is still very much apparent in all Pilates classes today, with a focus on a strong central core. Instructors and professionals around the globe have employed Joseph’s original concept and taken it one-step further with the use of equipment. Great question! Pilates is suitable for people of all ages. You may have come from a background in sport and exercise, or have no exercise background at all! Gym and sports are great for developing global muscle strength however, they are often lack local stability muscle strengthening, which can lead to injury or reduced potential in performance. Pilates is for you if you want to get stronger in a controlled and safe way, and also if you’d like to improve your posture and reduce risk of injury. Pilates works the deep core muscles from the inside out. By practicing Pilates, you will develop a great understanding of movement and your own body. You will discover small muscles groups that you never even knew you had and our expert team of Pilates instructors will teach you many different techniques to help you tap into engaging these muscles. It takes time and practice but once you have learnt how to engage these muscles, it will help you in everyday activities in ways you couldn’t imagine! Not only does Pilates have endless benefits in physical movement but also it will help you with mental focus and enhance your overall well-being. Although Pilates is constantly adapting and advancing in its methods of practice, the principles and foundations laid down by Joseph Pilates are still true in everyday teaching today. From the simplest routines to the more advanced and dynamics approaches to Pilates you can develop strength, mental focus and improved health benefits. Physiolates is client centred Pilates led by qualified sports therapist and physiotherapists. We are a team of health care practitioners who understand human anatomy as well as how to adapt Pilates to suit many common injuries or pathologies. We are passionate about movement and therapy and bring these two concepts together. Our therapist range from a variety of clinical backgrounds and aim to help your reach your rehabilitation potential. All exercises can be adapted to suit any individuals needs in order for each client to challenge themselves in their own individual way. A lot of our Physiolates clients have journeyed through physiotherapy treatment with their therapist and have begun Physiolates as a part of their ongoing rehabilitation. Others may use Pilates as deep conditioning to counterbalance the aches and pains associated with office based jobs which leave individuals feeling stiff and sore. Our classes are delivered at a number of clinics around Manchester and Liverpool and we offer a variety of morning, afternoon and evening classes to best suit your needs. We understand the founding concepts of Pilates and aim to deliver our sessions following the same passion as Joseph Pilates once did. If you wish to find out more or would like to book in for a free taster to any of our classes, please give us a call. 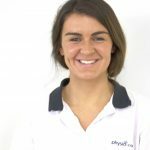 Our friendly team of receptionists will happily get you booked in to start your Physiolates journey with us. We look forward to seeing you at Physiolates very soon! The classes help me to wind down and shake off any tension or stiffness I have towards the end of the day which helps me feel more energised and positive. I am a keen runner and have noticed I feel stronger through working on my core strength and strengthening my back and suffer with less stiffness from back to back training. I’m a big believer in all the positive benefits of pilates and therefore aim to educate my patients in the clinic on the importance of strengthening the deep core. My class is ‘Growlates’ which is perfect for complete beginners but I ensure to add more challenging adaptations for regulars!